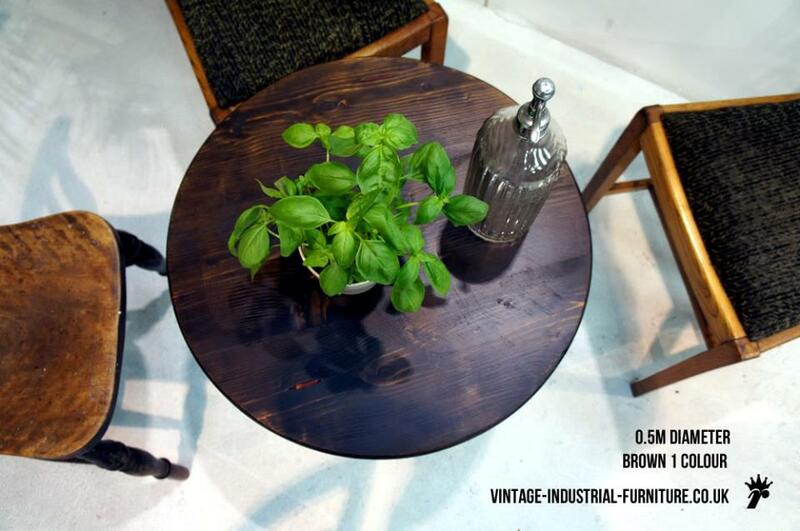 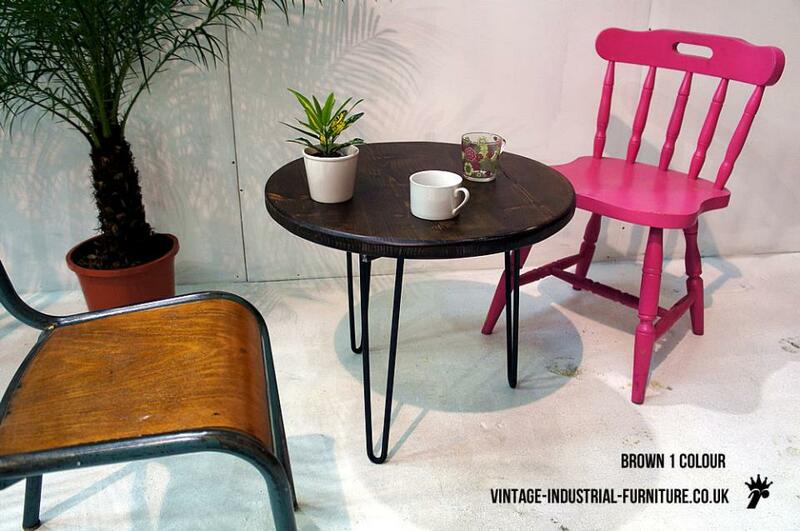 A round hairpin coffee table which is ideal for clustering chairs around. 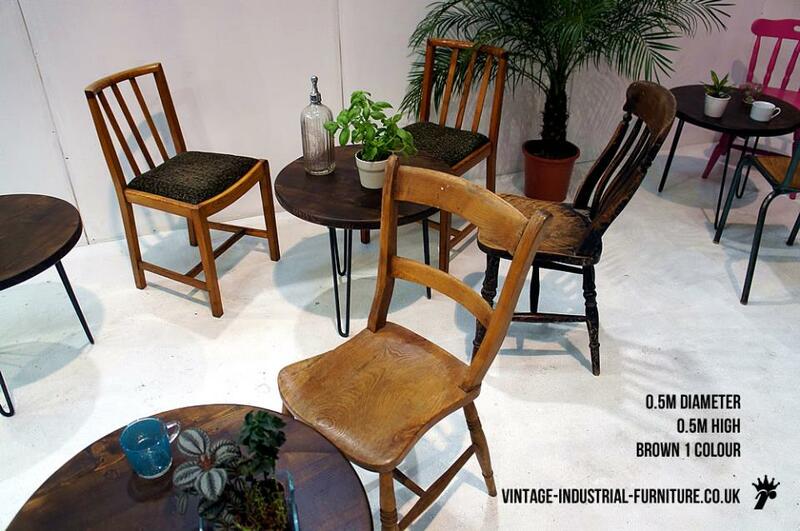 Available in our usual colours - "brown 1" is shown. 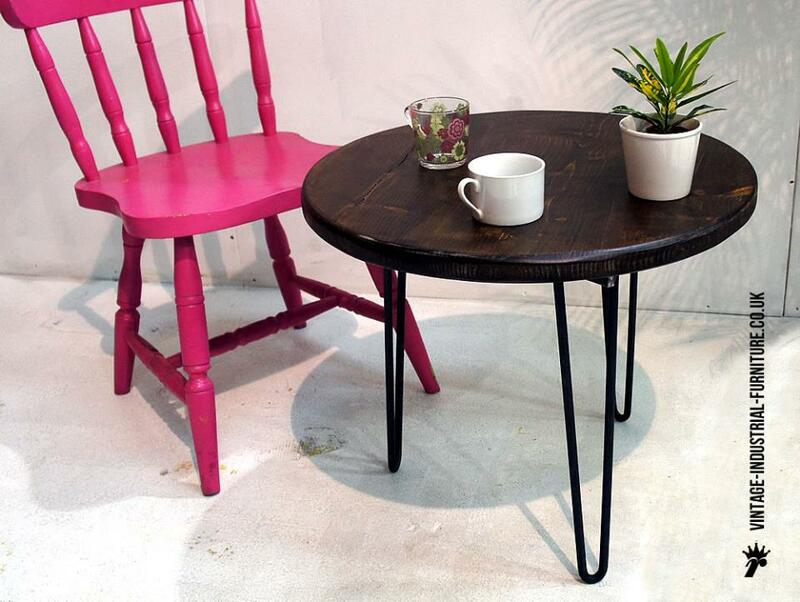 The tripod leg configuration allows the table to sit firmly, without rocking. 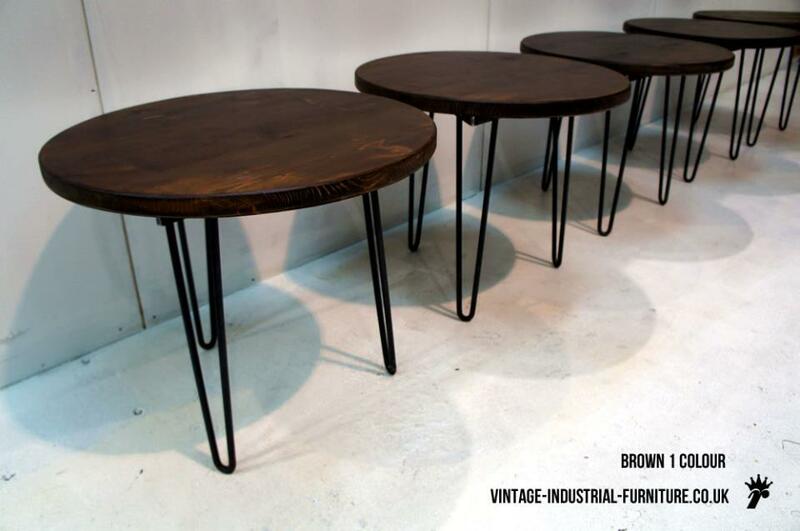 The legs of this round hairpin coffee table are welded to a single steel under-frame for strength.